Are there demonic entities and wicked spiritual powers behind Addiction? If so, what are they? 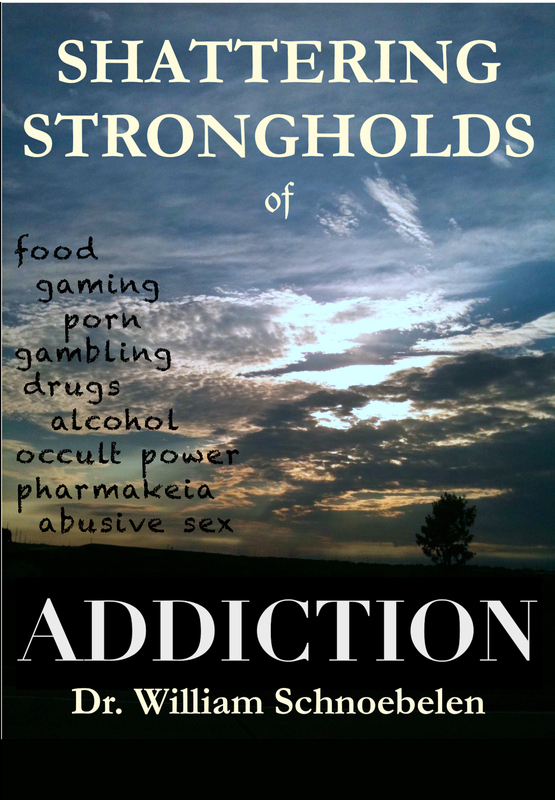 In this explosive DVD teaching, Shattering Strongholds of ADDICTION, Dr. Schnoebelen, N.D., shares Scriptural foundations for deliverance, liberation and emotional healing from the real culprits behind tormenting Addictions and their crippling behaviors. Learn how to discern symptoms (especially in youth) of the devastating cycle of abuse and find out why most Addiction counselors and the medical community fail. Discover the way to freedom when vain philosophies and unrighteous headship authority fails! Join Dr. Bill as he presents this anointed teaching from With One Accord Ministries – and boldly take hold of liberation, freedom and emotional healing from Addiction through obedience to Yahuwah’s Scriptures and our Saviour’s Resurrection Authority!